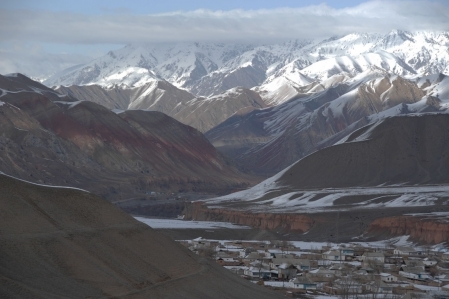 The Pamir Highway connects the Kyrgyz city of Osh with the Chorugh or the Tajik capital of Dushanbe, located in the Tajik region of Berg Badachschan, over a distance of 1,252 kilometers. In the north-east of Tajikistan, the highway crosses the Ak-Baital Pass at its highest point with 4,655 meters above sea level. After the Pamir Highway passes the Karakul Mountain Lake, before he crosses the border to Kyrgyzstan on the Kyzyl-art pass with 4,282 m above sea level. Here, the Pamir Highway leaves the Pamir Mountains to the north and goes through the Trans Alai and Alai mountains. The Kyrgyz city of Osh marks the end point of the Pamir Highway. 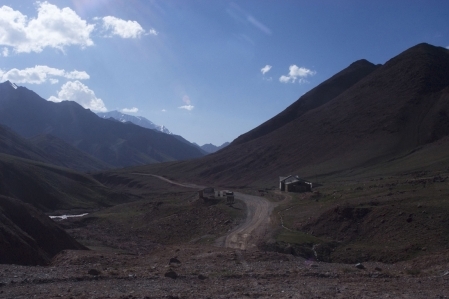 The Pamir Highway is almost asphalted throughout, but in a very poor condition. Whole sections of the road were swept away by floods. Repairs take place only provisional, if necessary, and a crossing of the river is often required. Stones and rocks also often love on the road and block them. 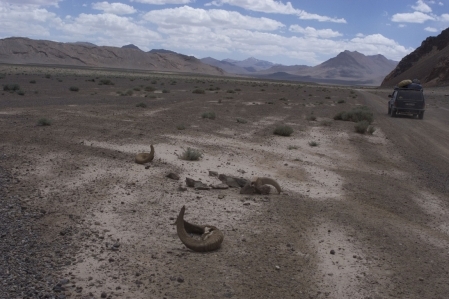 Sometimes the road is so damaged that it is abandoned in favor of easier, unpaved roads immediately adjacent to the Pamir Highway. Traveling from the East Pamir often takes place from the Kyrgyz side, as the choice of goods in this big city is much greater than in the closer Chough and the road to Dushanbe is too bad. The route in the east Pamir is never below 3,500 meters above sea level and is characterized by a high mountain desert with hardly any precipitation. The route sections between Chorugh in Tajikistan and Sary-Tash in Kyrgyzstan are very few places, among others. 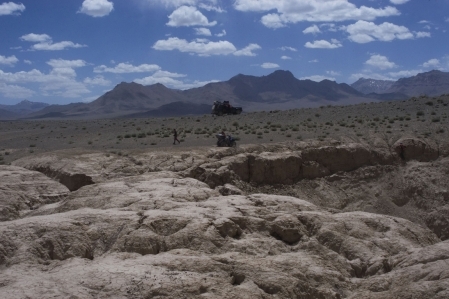 Alichur, Murgab and Karakul. If the view is clear from the street, the peaks of the Lenin peak 7,334 meters and the Muztagata 7,509 meters. The West Pamir differs to that in the East Pamir that the road west of Chorugh along the Pjandsch runs in a much narrower and steeper valley and the precipitation is also significantly higher. 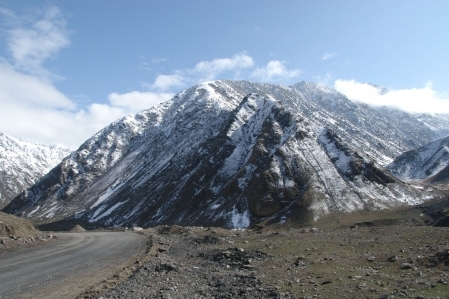 The Pamir Highway is a small part of the famous Silk Road. The most spectacular part of the Pamir Highway connecting the Kyrgyz city of Osh via high passes with Tajikistan begins in the Panji Gorge.